Giveaway #3: Chapters Indigo Prize Pack! Kick off your weekend with this fun Valentine’s Day prize pack from Chapters Indigo! 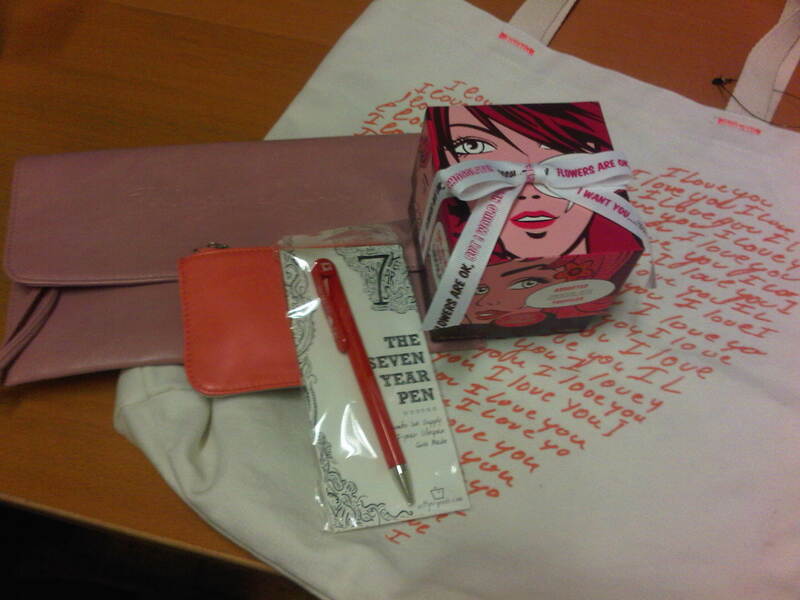 Prize Pack 2: Soft blush pink clutch with script that says, “Things I Love,” mini purse and a red 7 year pen to write out your love letters! Items have been generously donated from Indigo. Follow them on twitter or shop their crush worthy Valentine’s Day collection. I would love to kick off my weekend with this amazing Valentine’s Day prize pack from Chapters Indigo! Yay sweet prize! Have a great weekend! Thanks for the great opportunity! I am following, liked and tweeted! Sounds amazing! Thanks for offering the giveaway! Nice prizes Thanks for the chance!